Finally got the new DRZ out on the racetrack. 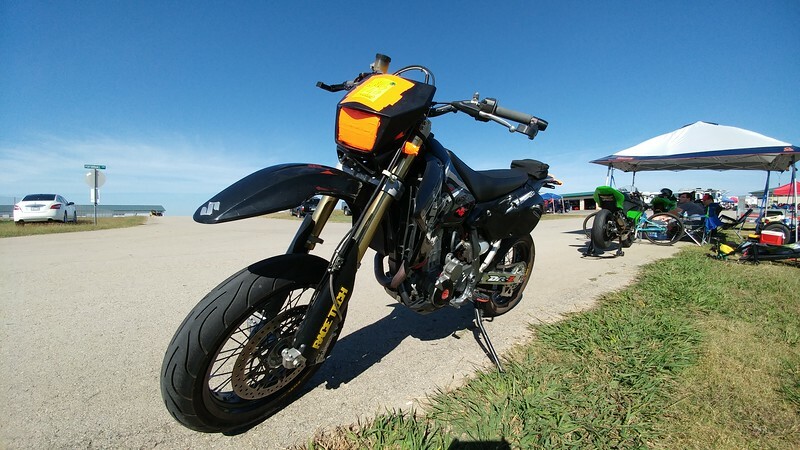 I took advantage of a spot that opened up for one of the last trackdays of the year put on by Ridesmart, the day before Halloween. 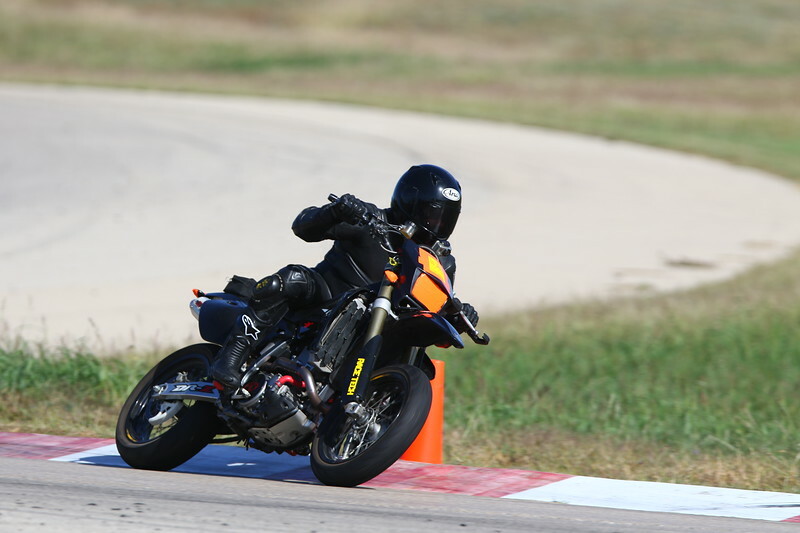 I started off the day with a little off track excursion as I failed in my attempt to pass a Gixxer down the straight. Didn't quite pull it off but the DRZ handled the dirt/grass with ease. Weather was great, unseasonably warm, but I'd rather it be on the warm side because that makes for sticky tires and a sticky track. 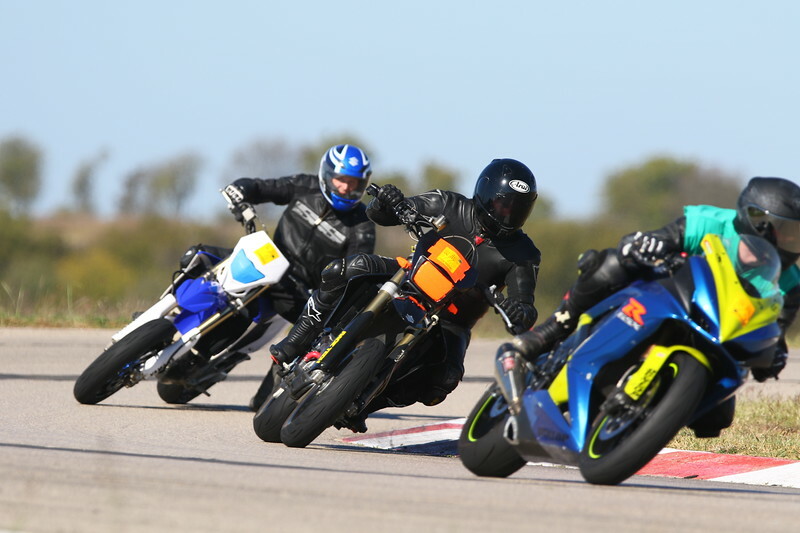 Here's the aforementioned gixxer on the right of the photo. 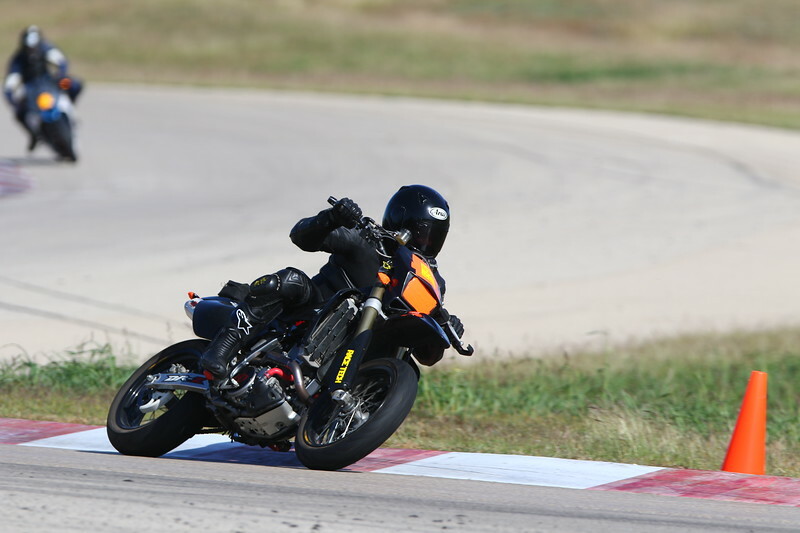 Looking over the official photographer's photos, it seems that while I wasn't the fastest guy out there, I was pretty good at being consistent while hitting my apexes pretty well. The cone marks the apex in the turn, you'll notice that my tires are almost on the curbing so I'm using every inch of track to get there.